Issue 26 – Gwen Stacy…SpiderWoman? 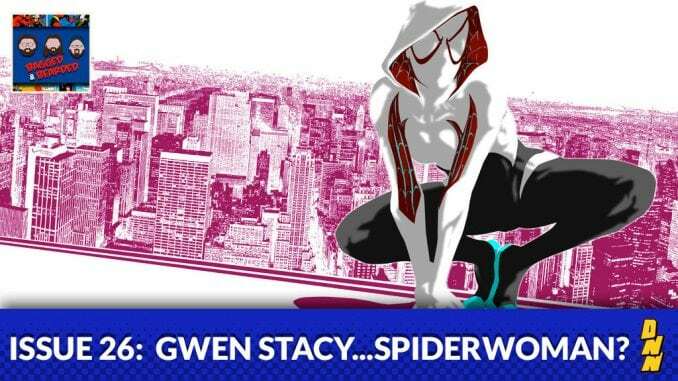 The amazing Spider-Gwen is a brand new comic phenomenon in Marvel where a resurrected character has been brought back in a brand new role and almost universal accepted and loved from comics fans both old and new. The B&B crew is here to talk Spider-Gwen! With special guests Brian Barrow and Nicole Robey!